Pink, purple, glitter and shimmer. Justice has it all, plus more. 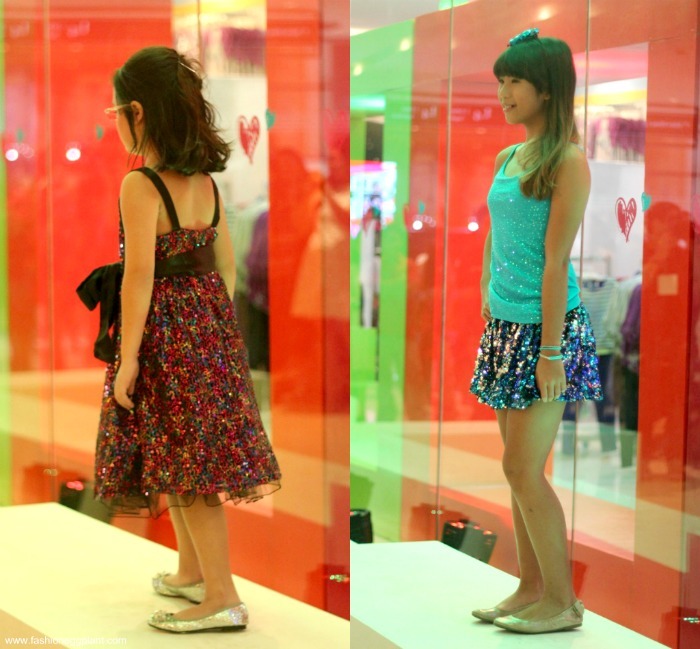 I attended the launch of Justice For Girls first flagship store in Manila yesterday with Nikola (my daughter). 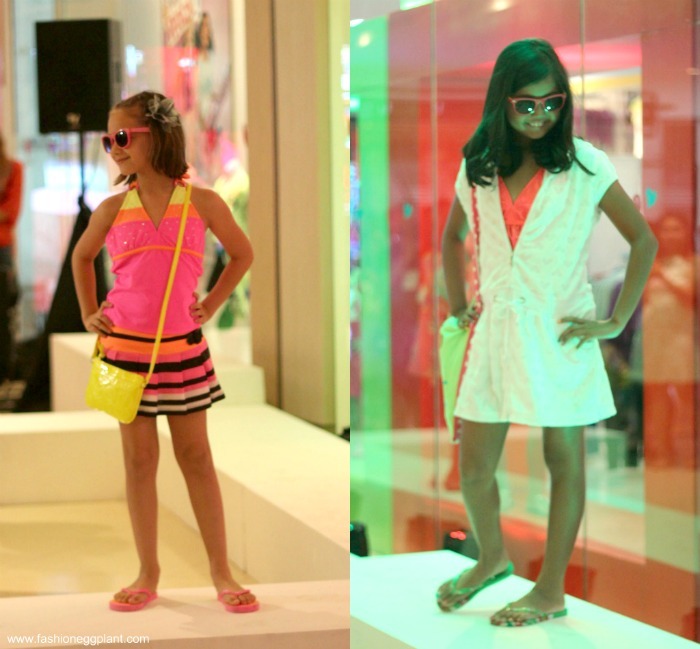 The event was celebrated with a fashion show featuring the "Justice Girls" and a discounted shopping spree afterwards. It was the only time I witnessed Nikola totally engrossed and not a minute bored during an event. She even complained when one of the yaya's blocked her view during the show. Astonishing stuff, really but I kinda have a feeling I know why. Watching the girls strut the catwalk was almost like watching iCarly, Grachi and Victorious live. If you're not familiar, they are shows on Nickelodeon that most tweens and all of Nikola's peers are currently crazy about. Justice For Girls had the Disney/Nick stars fashion down to a tee from knee high boots, sequined scarves, glitter sweaters and neon animal print tees. Rather than feel weary about all the future spending I (already) know I am going to have to succumb to, I am quite relieved that Retail Specialist Group decided to finally bring in Justice from the states. Shopping for clothes for Nikola has always been a major task. Kids these days are so opinionated. At the tender age of 6 turning 7, Nikola already knows what she wants fashion-wise which results in a lot of wasted clothing from the shopping sprees I do for her when we're not together. It got so bad that I totally stopped buying clothes for her when she's not around. After several years of making the same mistake, I finally realized that she will never wear what she doesn't like or maybe she will but I will have to put up with a pout and maybe a tear or two. 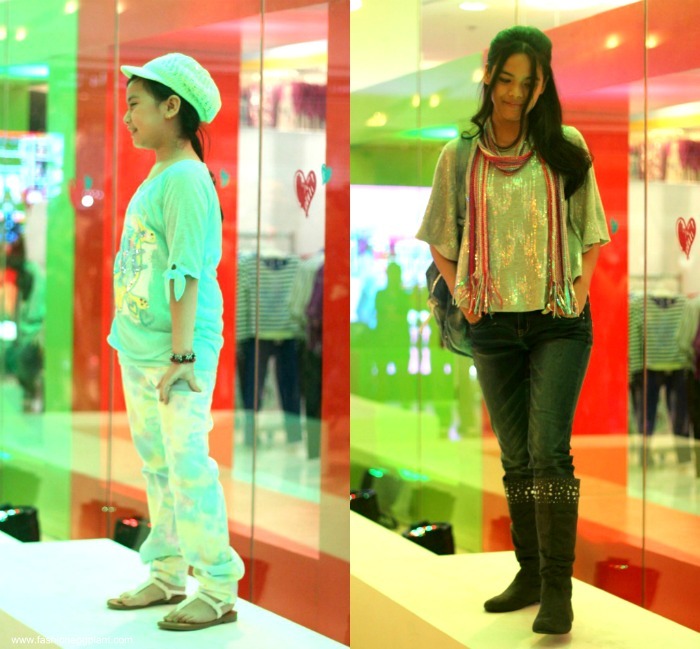 Not worth it, after all, coming from a fashion blogger mommy, clothes should be fun and an expression of your own personality. After the show was done and the ribbon was cut, it was time for the kids to shop and go ga-ga over Justice and go ga-ga they did. I have been to a lot of store launches in my life but I have never stayed in a store afterwards as long as I did yesterday inside Justice. Justice has everything. Think of it as a complete line for Tweens, from sporty wear, pop star-ish clothes, shoes, fashion accessories, bags and even lifestyle products like headphones, mirrors and vanity kits, Justice carries them all and of course in glittery, rhinestoned saccharine colors that have a hypnotising effect over the tween girl set. 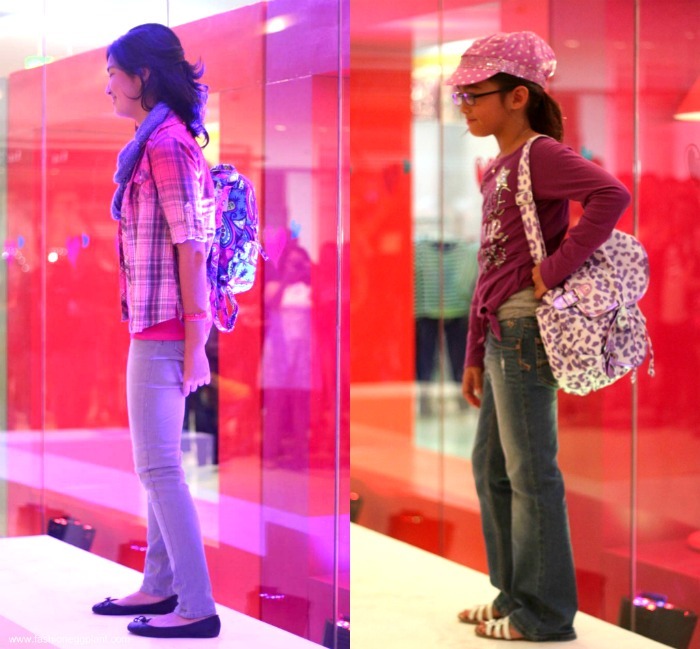 Justice For Girls is now open at the 4th floor of the new wing in Shangri-la Mall. They will be opening their next store soon in Alabang Town Center.